It’s been awhile since I’ve posted a cocktail recipe. I’ve been visiting my best friend and her adorable family this past week and it was the perfect opportunity to whip up a refreshing adult beverage to share with some of the best people I know! There was no premeditated thought that went into this drink, we simply used what she had on hand in her kitchen and the results were fantastic! I brought my hosts a bottle of Veev as a thank you for letting me crash with them for a week – you guys know how much I love Veev and I got my best friend hooked on it when I gave her a bottle this past Christmas. After a long day of walking and running errands we got back to the house only to discover we forgot to buy mixers for our evening cocktails – doh! Neither one of us was in the mood to get back in the car and make another grocery store run, so we improvised. 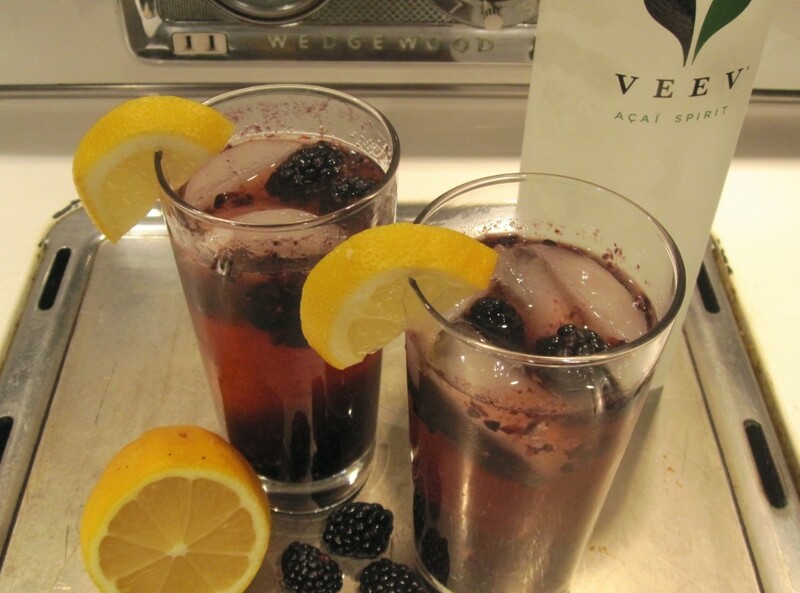 A quick look through the fridge produced fresh blackberries and ginger, ginger ale and lemon. I could definitely work with this! I took a couple tall glasses, dropped around 6 blackberries in the bottom along with about 1/2 tsp grated ginger and mushed the crap out of it with the back of a wooden spoon. 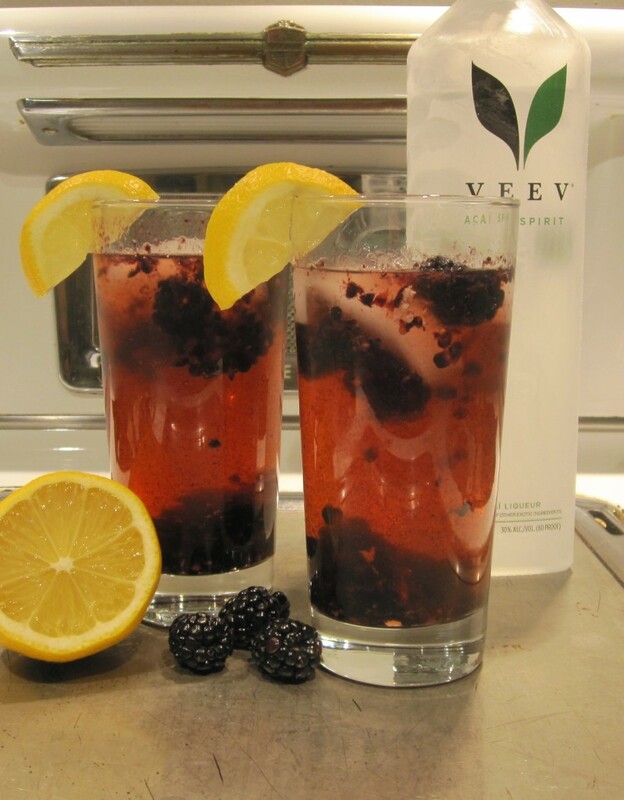 Then I added some ice, 1 1/2 shots of Veev, topped with ginger ale and garnished with a squeeze of lemon. The results were light and refreshing and it was the perfect way to end a lovely day.